modmove | BIFF 2019 short film competition now open! Queensland Art Gallery | Gallery of Modern Art (QAGOMA) Director Chris Saines said short films selected for screening would also be considered for the Festival awards across five different categories. ‘Queensland-made entries will be eligible for the Screen Queensland Short Film Award valued at $7500, with the winner given the option of either concept development funding or travel and marketing to attend a film market of their choice,’ Mr Saines said. ‘It is a fantastic opportunity for an aspiring or established Queensland filmmaker to realise a project that’s currently underway, or an entirely new work. The prize winner will also have the opportunity to meet with Screen Queensland regarding their next steps. ‘In addition to the Screen Queensland Short Film Award, the BIFF 2019 Short Film Competition includes cash prizes for Best Festival Short Film Award, Best Australian Short Film Award, a Special Jury Award, and an Innovation in Form Award. ‘All short films submitted between now and 15 June will be considered by the Festival Selection Committee for screening at BIFF 2019, and submitted to the competition jury for final judging.’ Mr Saines said. CEO of Screen Queensland Tracey Vieira said BIFF, which was founded in 1992, has established itself as one of Australia’s premier film festivals. ‘We’re thrilled to continue supporting BIFF, and to help bring this new element to the Festival for 2019 as part of a dynamic film program delivered city-wide by QAGOMA’s Australian Cinémathèque,’ Ms Vieira said. 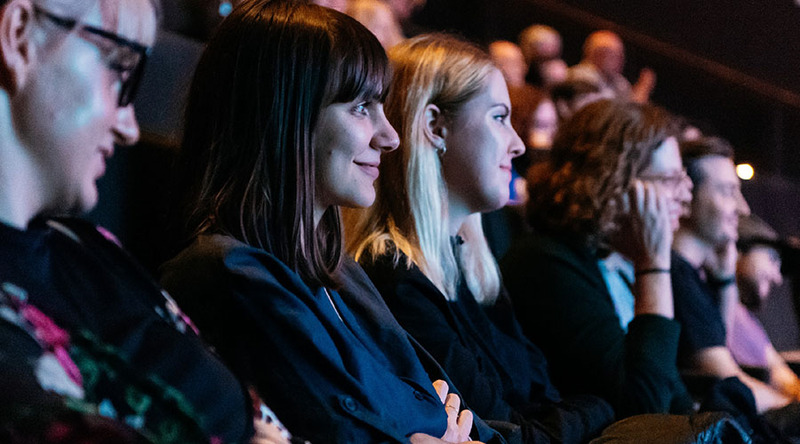 Festival Artistic Director and Curatorial Manager of QAGOMA’s Australian Cinémathèque Amanda Slack-Smith said BIFF 2019 would include new release features, documentaries, thematic and retrospective programs, special events, and screenings with live music, panel discussions and more. The complete program will be announced later this year, with the winners of the BIFF Short Film Competition revealed during the Festival. Screen Queensland Short Film Award. (Value AU$7500). Courtesy of Screen Queensland. Open to Queensland residents only. Please see conditions of entry for further details. Best Festival Short Film Award. All submissions eligible (AU$2000). Best Australian Short Film Award. Open to Australian short films only (AU$1000). Special Jury Award. All submissions eligible (AU$1000). Innovation in Form Award. All submissions eligible (AU$1000).